Bob Vila Radio: Is MDF Better Than Plywood? For many carpentry projects, medium-density fiberboard is the most affordable and user-friendly among affordable yet high-performing wood products. 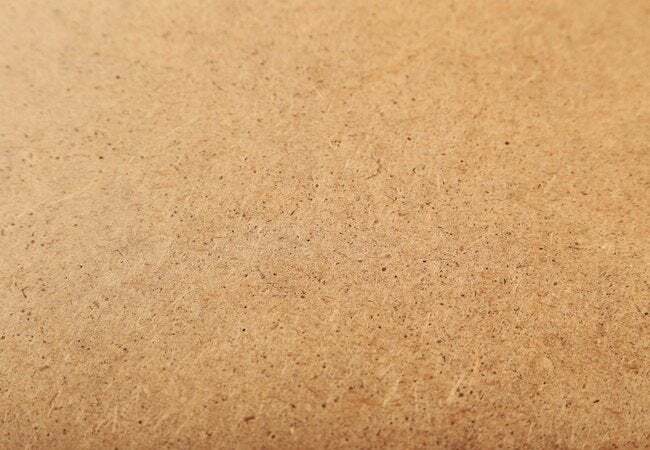 Medium-density fiberboard, MDF for short, can be a cheaper, more stable alternative to plywood, if used in the right way. MDF is made from wood scraps that are broken down into fine fibers, mixed with a binder such as glue, then formed into sheets. Most home centers carry four-by-eight-foot sheets, usually one-half or three-quarters of an inch thick. MDF offers many benefits. First, it’s a bit less expensive than plywood. Second, it holds its shape, so you can use it for shelving, cabinets, trim and moulding. But since it doesn’t like moisture, it’s best used in indoor projects. One important caveat: MDF contains formaldehyde, a suspected carcinogen. Wear a respirator when cutting it. And be aware that until it’s properly sealed with paint or urethane, the material continues to off-gas. That being said, if you take proper precautions when working with it, MDF can save you money and reward you with good results.